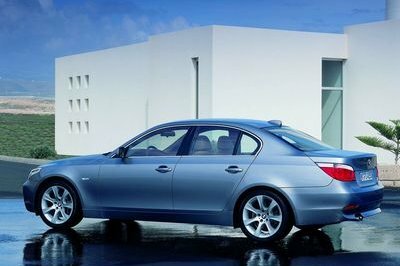 The 5 Series is Bimmer’s mid-size product, offered in a sedan, wagon, and fastback body style. Available since 1972, a total of seven generations have made their appearance over the years, with the current model making its introduction in October of 2016. This latest model sees an expansion into the Bavarian’s iPerformance lineup as the fourth such model to gain the designation. Seeking a balance between performance fun and a little efficiency as well, the 530e iPerformance gets all the same good stuff as the regular 5 Series, including the latest interior technology, snappy good looks, and a decent amount of performance, but adds a solid dose of hybrid efficiency and torque on top. BMW says it’s doubling down on its electrified and hybrid offerings going forward, so it makes a lot of sense to see this relatively mild electrification for the 5 Series. We think it’s a smart move, as it manages to retain what we like about the 5 Series without diminishing anything in the process. It bodes well for future hybridized Bimmers, and sets a clear path forward as the Bavarians move to bring big batteries across its lineup. 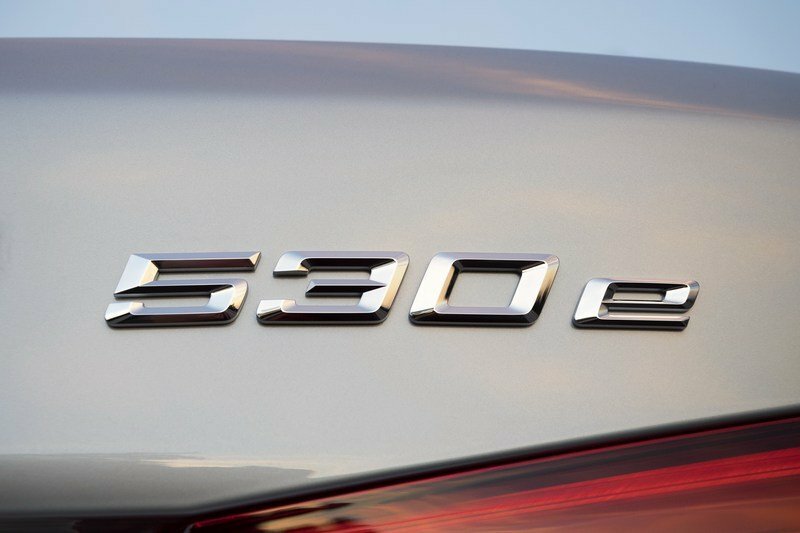 Continue reading to learn more about the BMW 530e iPerformance. Outside, we find the BMW 530e iPerformance looks more or less identical to its non-hybridized counterparts. 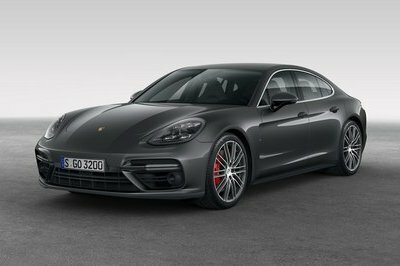 The lines and shapes are all the same, with narrow headlight housings packed with twin projectors and bright daytime running lights in the surrounds, a broad kidney grille lined in chrome, an extended lower intake, handsome proportions, and a forward-leaning stance. It’s all traditional luxury sedan kind of stuff. The hood line is long, the roofline gently slopes into the trunk, and the rear end is short. While the 530e isn’t all that different from the standard 5 Series aesthetic, there are some unique styling elements that help identify the 530e as a hybrid, mostly thanks to a blue hue added to various components. And while the 530e isn’t all that different from the standard 5 Series aesthetic, there are some unique styling elements that help identify the 530e as a hybrid, mostly thanks to a blue hue added to various components. Look closely, and you’ll see these in the front kidney grille and wheel hub covers, plus there are i badges and e-Drive badges scattered throughout. However, the big giveaway is the charging socket located on the driver’s side between the front wheel arch and A-pillar. Finally, BMW equips 18-inch wheels as standard. The wheel design is in a multi-spoke layout, and we think it looks good on the Bimmer. Note: Mercedes C 350e Hybrid pictured on the left, Infiniti Q50 Hybrid pictured on the right. When looking for the appropriate competition for a German luxury car, it’s usually best to delve into the Big Three – Mercedes-Benz, BMW, and Audi. 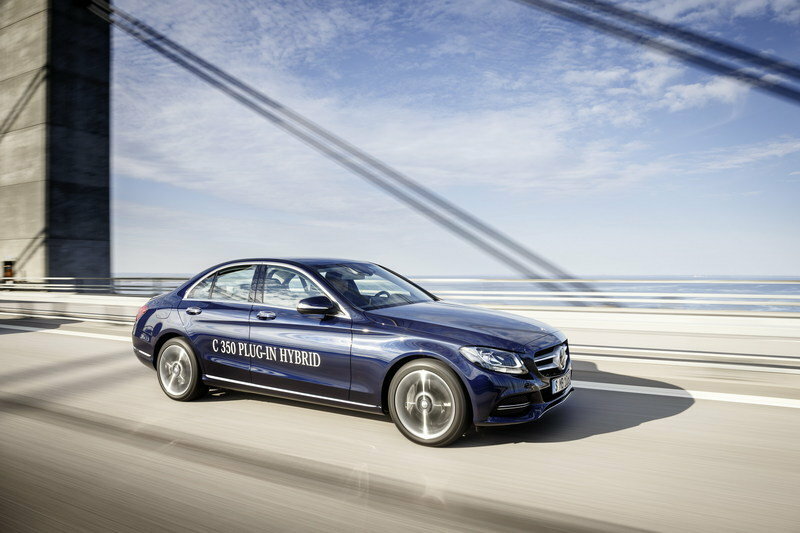 In this case, that first entry offers a solid alternative to the 530e with the Mercedes-Benz C 350e Hybrid. 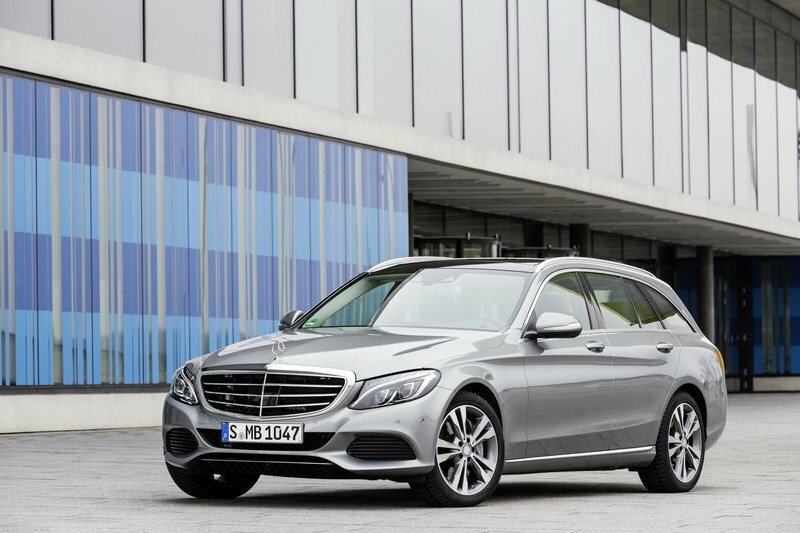 Like the Bimmer, the Merc gets the traditional luxury sedan cues, with a long wheelbase, long hood, and short rear. The bodywork utilizes lots of aluminum, and incorporates sensuous lines that wrap around the body in a flowing manner. The wheels are large, five-spoke affairs, measuring in at 18 inches in diameter. Next up, we have a Japanese substitute with the Infiniti Q50 Hybrid. This thing definitely stands out thanks to its unique exterior styling, with shapely lines and voluminous features added front to back. The profile is particularly aggressive, enhanced thanks to flared fenders and a wide, low stance. LEDs are used for the daytime running lights in front while 18-inch wheels take up residence in the corners. While exterior appearance is a matter of opinion, we feel like the Bimmer is the best looking in this crowd. And while exterior appearance is a matter of opinion, we feel like the Bimmer is the best looking in this crowd. We think that it offers the best sense of top-shelf quality out of the three, and that’s important in a segment like this. 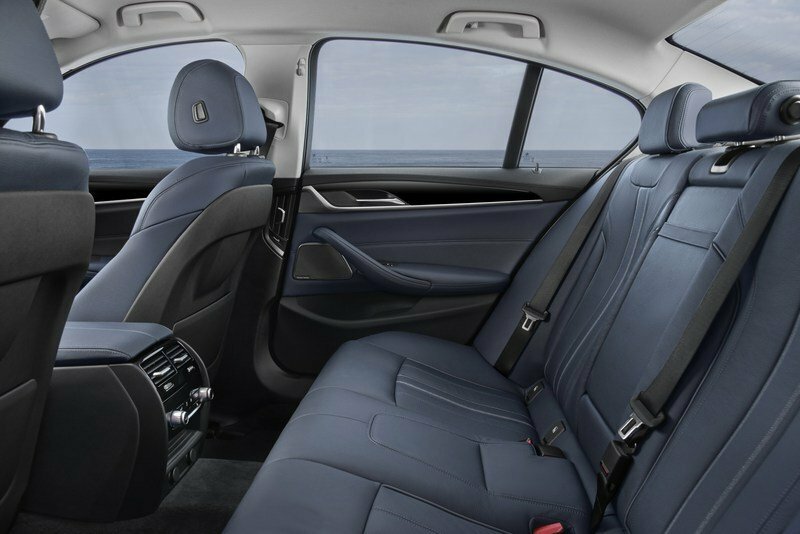 Like the exterior, the interior of the BMW 530e iPerformance doesn’t differ terribly from the standard, non-hybrid 5 Series. You still get premium materials and a horizontal layout, with a driver-centric focus and seating for five passengers. Those sitting in back get their own climate control panel, while those in front get supportive, form-hugging seats. Hybrid details include illuminated door sills dressed with the eDrive logo, plus an eDrive button located in the center console (more on that later). There are also unique displays for the gauges and central console. One of the Bimmer’s biggest focuses is the onboard technology. 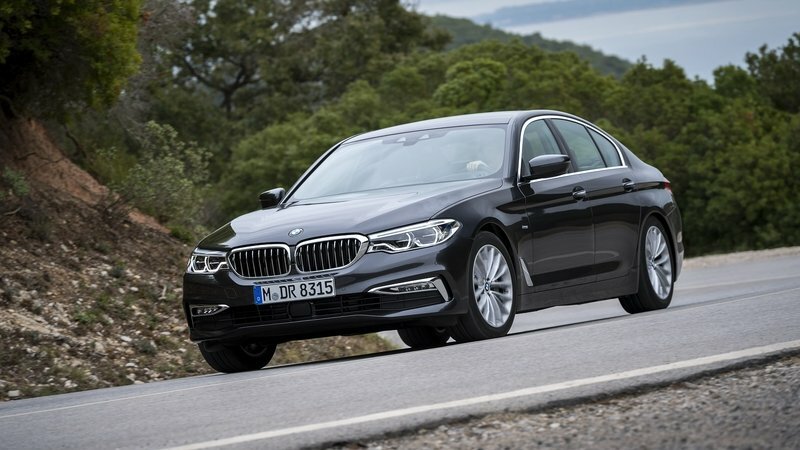 The Bavarians assert that the 530e iPerformance “offers the full breath of BMW 5 Series Advanced Driver Assistance systems.” Basically, this means the same technology you get in the regular 5 Series and 7 Series. One of the Bimmer’s biggest focuses is the onboard technology. 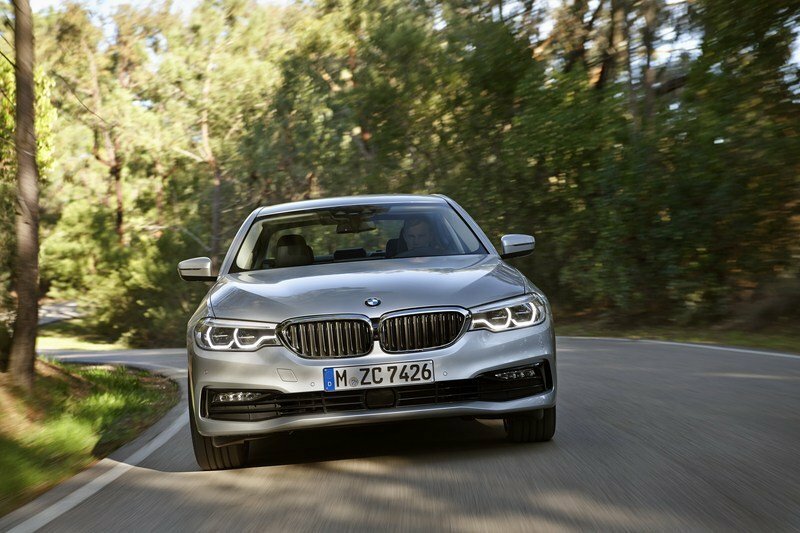 The Bavarians assert that the 530e iPerformance “offers the full breath of BMW 5 Series Advanced Driver Assistance systems.” Basically, this means the same technology you get in the regular 5 Series and 7 Series, with a plethora of assistance systems including blind spot monitoring, lane keep assist, and traffic jam assist. Many of these are definitely cutting edge and should draw in buyers seeking the latest and greatest. They’re also designed for operation in Germany, and work at speeds up to 130 mph. You know, just in case you need it. The onboard infotainment system uses the latest iDrive platform, currently offered as version 6.0. This includes a nav system, smartphone support, and the all the rest of the stuff you’d expect for an application like this. There’s also the BMW Connected system, which integrates digital aspects like destination data, navigation data, weather conditions, estimated arrival times, and more to make your life a little easier. Speaking of which, the 530e also gets a 360-degree bird’s eye view camera system, which helps you avoid curbs when parking and the little one’s bike if he or she accidently left it directly behind the car without your knowing. The infotainment will offer feedback on how well you drive, or rather, how green you drive. Your rating is dependent on efficiency, which comes down to stuff like how hard you accelerate, how smoothly you brake, and similar activities. When it comes to getting around town, the 530e also integrates with ParkNow and On-Street Parking services to help you find a spot. In terms of the hybrid system, the infotainment will offer feedback on how well you drive, or rather, how green you drive. Your rating is dependent on efficiency, which comes down to stuff like how hard you accelerate, how smoothly you brake, and similar activities. Supporting all these interior tech features is a 10.25-inch display mounted high on the dash. There’s also voice control and the option for gesture control, while more solid inputs are made via the iDrive Controller on top of the central tunnel. In our opinion, we think the interior of the Mercedes looks great. Long, drawn-out lines add a sense of spaciousness, while rounded air vents lined in polished metal dot the dash. Materials used include natural grain wood and aluminum trim, plus the option for other colors if desired. A panorama roof is also on the options list. The steering wheel is a three-spoke, multi-function unit (a flat-bottom wheel can be had for more sportiness, if desired), while further MB-Tex leatherette can be added to the top of the dash and doors. Safety features include collision prevention, attention assist, crosswind assist, and optional blind spot monitoring. Meanwhile, inside the Infiniti, passengers sit amongst maple wood trim and aluminum details. The layout is much more vertical than the Bimmer and Merc, with the eye naturally led to the tall center stack, where we find a top-mounted display screen and a digital controller. A digital display in the gauges continues the data readout. The steering wheel, door panels, center console, and other elements utilize contrast stitching for the upholstery, while the shifter is an actual stick, rather than a series of buttons or knobs. In our opinion, the best-looking interior of the three has to be the Merc, but the Bimmer is the way to go if having the latest technology is high on your priority list. In our opinion, the best-looking interior of the three has to be the Merc. While the design is starting to get a little long in the tooth, it still gives us that sense that you’re sitting in a high-end luxury car, that it’s really something special. The Bimmer, however, is probably the way to go if having the latest technology is high on your priority list. This is really the most important section for the BMW 530e iPerformance, the place where it should shine the brightest. Providing the motivation is an eDrive plug-in hybrid powertrain, which starts by utilizing a TwinPower gasoline-burning internal combustion engine. Specs on the gas-burner include displacement of 2.0-liters divided amongst four cylinders. On its own, the ICE produces 180 horsepower and 255 pound-feet of torque. Paired to the engine is a single electric motor, which produces upwards of 111 horsepower and 184 pound-feet of torque. Put the engine and motor together, and total output comes to 248 horsepower and 310 pound-feet of torque. A full charge is achieved in 7 hours when plugged into a standard 120-volt outlet. Plus it into a 240-volt source, and you reduce charge times to 3 hours. Of course, you can’t forget the battery pack either, which in this case is a lithium-ion unit rated at a 9.2-kWh capacity. Bimmer smartly placed the pack under the rear seat, and as a result, saved extra space, including the full trunk area for practicality purposes. The pack also uses refrigerant cooling and a highly integrated low-temperature circuit for max efficiency. A full charge is achieved in 7 hours when plugged into a standard 120-volt outlet. Bimmer says the 120-volt source can be used via an “Occasional Use Cable,” so really, you’re gonna wanna step up to a custom 240-volt source if you’re planning on plugging in regularly. For those interested in further hybrid investment and energy-saving solutions, BMW offers its 360 Electric Lifestyle tech, which gives owners further charging options, including solar power and a 240-volt source. Plug it into one of these, and you reduce charge times to 3 hours. Bimmer also recently announced that it was going to offer the option for wireless, inductive charging, which is great if you can’t be bothered to actually plug it in. Either way, the 530e iPerformance uses regenerative braking to keep the batteries topped off while on the move. You can also monitor the charging progress via a special display in the instrument cluster. The electric motor is placed “upstream” from the transmission, thus allowing the gearbox ratios to translate both the electric power and the ICE power. In terms of layout, the electric motor is placed “upstream” from the transmission, thus allowing the gearbox ratios to translate both the electric power and the ICE power. This has the added benefit of replacing the torque converter, which chips away at the curb weight as a result. What’s more, the Bimmer will decouple the engine from the powertrain, lowering parasitic loss (“engine braking”) and upping efficiency as a result. Helping the Bimmer best use the energy is a multitude of driving modes, which include all the usual suspects, such Sport, Comfort, and Eco Pro. Hit the eDrive button and you’ll get additional drive mode options, such as Auto eDrive, Max eDrive, and Battery Control. These bear a little explanation. 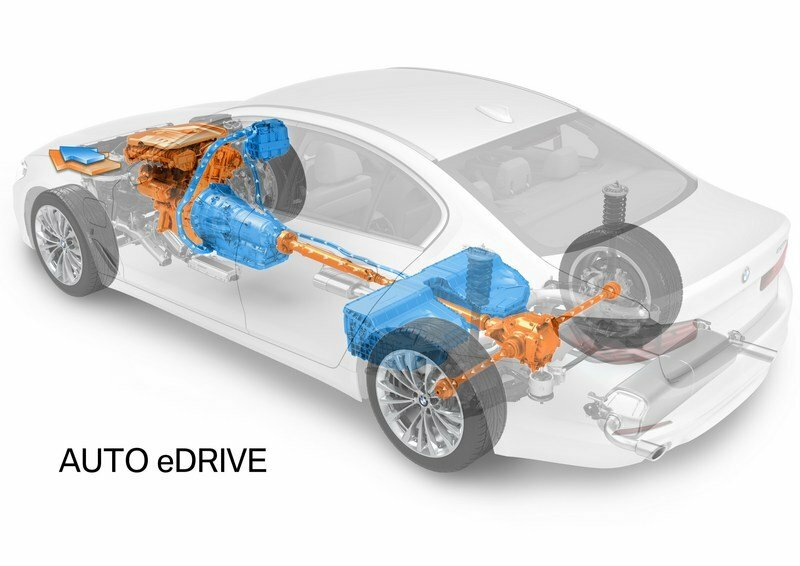 Auto eDrive means the ICE and electric motor work in concert, with all-electric power used up to 56 mph. This is the default mode. Max eDrive offers all-electric power only, with a max speed up to 87 mph. Going any faster will start the ICE. Battery Control lets the user set the charge level for the battery, so for example, if you want the maximum amount of electric power for some anticipated stop and go traffic, you can set charge level higher to keep some extra electrons in reserve. 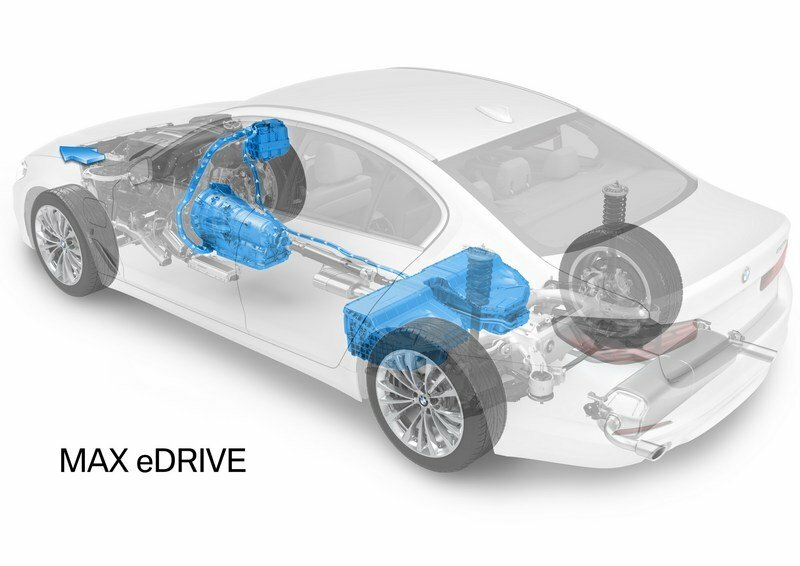 Hit the eDrive button and you’ll get additional drive mode options, such as Auto eDrive, Max eDrive, and Battery Control. Further drivetrain features include an eight-speed automatic transmission, plus the requisite paddle shifters to offer a little more control. Both RWD and AWD are on the table. As for the performance of the iPerformance, acceleration figures from 0 to 60 mph look like 6.1 seconds, while top speed is rated at 130 mph. Put your foot down in the Mercedes, and you’ll tap into a turbocharged 2.0-liter four-cylinder gasoline engine mated with a 60-kW electric motor. Working in concert, the duo manages to produce upwards of 275 horsepower and 443 pound-feet of torque. 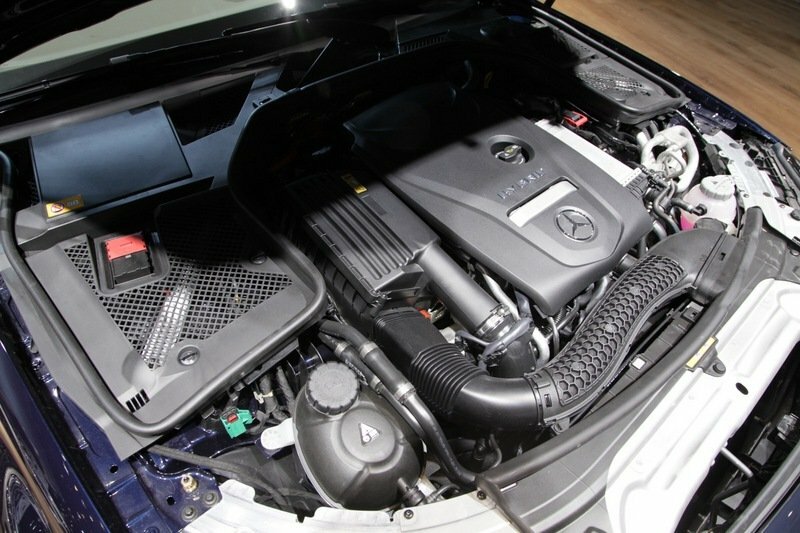 Routed to the rear axle by way of a seven-speed automatic transmission, the Merc can hit the 60-mph mark in 5.8 seconds. The battery can reach a full charge from a public charger in 2.5 hours. 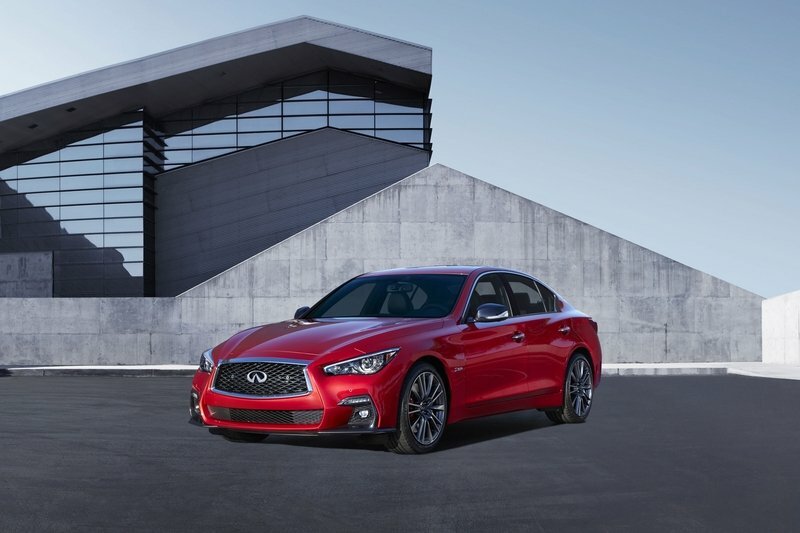 Moving onto the Infiniti, the Q50 Hybrid is equipped with 360 horsepower thanks to a 3.5-liter V-6 mated with a 50-kW electric motor and lithium-ion battery pack. Fuel economy is rated at 27 mpg in the city and 32 mpg on the highway, with power routed through an automatic seven-speed transmission. RWD is equipped as standard, while AWD is offered as well. 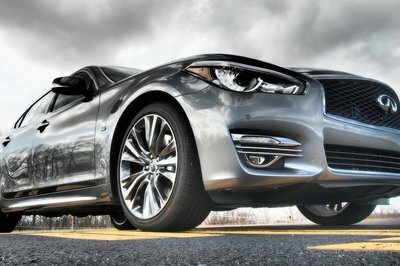 Properly motivated, the Infiniti can scorch the 0-to-60 mph run in just 4.9 seconds. That’s mighty quick for any car, let alone a hybrid, and we’re impressed by the fuel economy as well. All told, if it’s power and efficiency that you’re after, the Infiniti’s electrically boosted six-cylinder is the way to go. The BMW 530e iPerformance is available now, with pricing set at $52,400 for the entry-level Sport Line Design trim level. 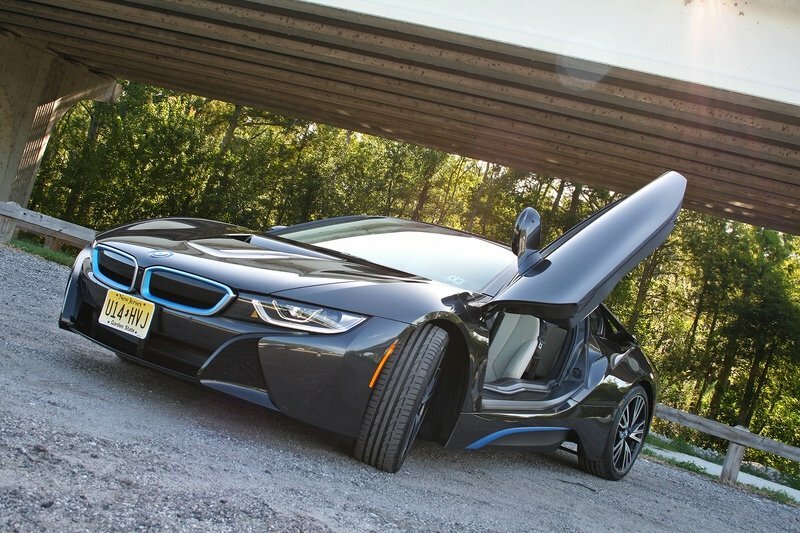 Above that is the Luxury Design model for $52,900, while the M Sport Design starts at $57,000. Go for the Merc, and you’ll be spending $47,900 before options. Several packages are on the table, including the Parking Assist Package, the Premium Package, the Air Balance Package, and the Intelligent Hybrid Navigation and Multimedia Package, all of which will quickly raise the bottom line. 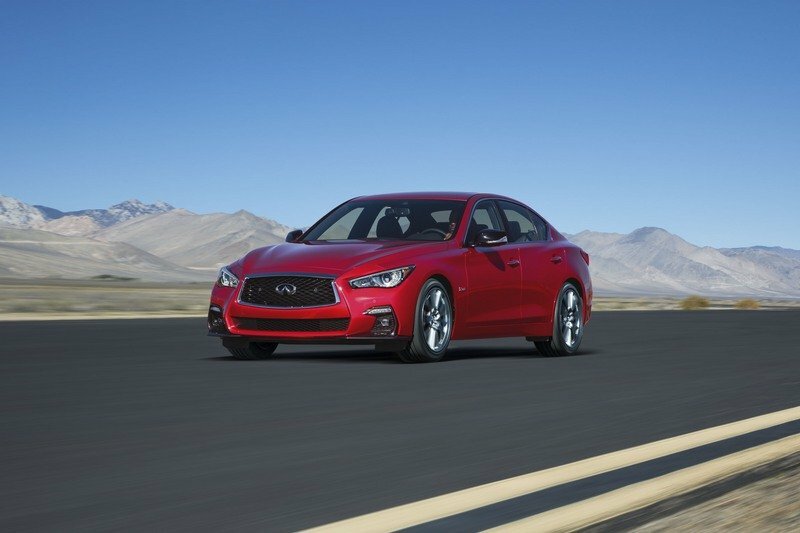 Meanwhile, the Infiniti starts at $50,600 for the Q50 Hybrid Luxe model with RWD. The AWD iteration adds two grand to the bottom line. Options are limited, but do include stuff like Radiant Exterior Ground Lighting, a Cargo Package, and the All-weather Package. 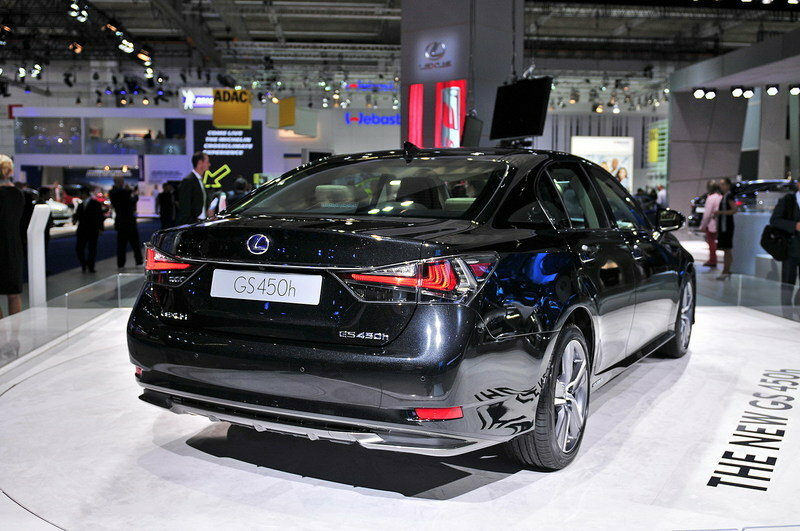 As the luxury arm of Toyota, Lexus has plenty of hybrid tech to pull directly off the shelf, and the GS takes advantage of that. Also offered in a high-powered Sport iteration, the GS Hybrid mates a 3.5-liter V-6 ICE with a single electric motor to produce 338 horsepower. A CVT is the only transmission option, while inside, you’ll find a spiffy interior with nice materials. 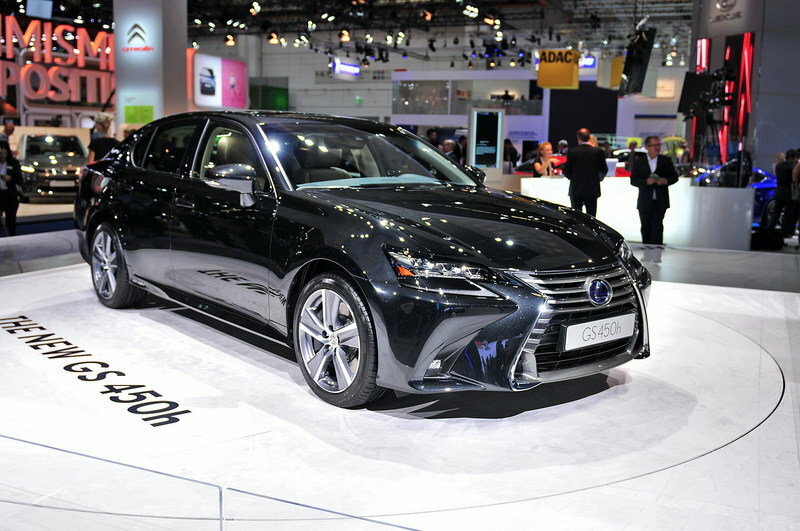 Read our full review on the Lexus GS Hybrid. The Swedes are keen on the whole hybrid thing as well, and offer up their take on premium eco motoring with the S90 sedan hybrid. 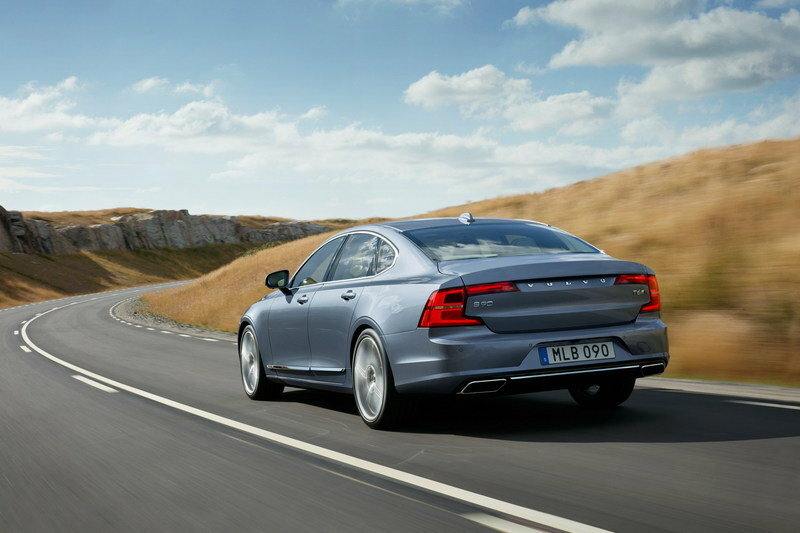 Motivated by a stout 407 horsepower from a 2.0-liter four-cylinder engine and electric motor combo, the S90 is quick. Inside, there’s also tons of luxury draped across a very good-looking layout, while a variety of autonomous features keep it very safe. Nice combination of features, if you ask us. 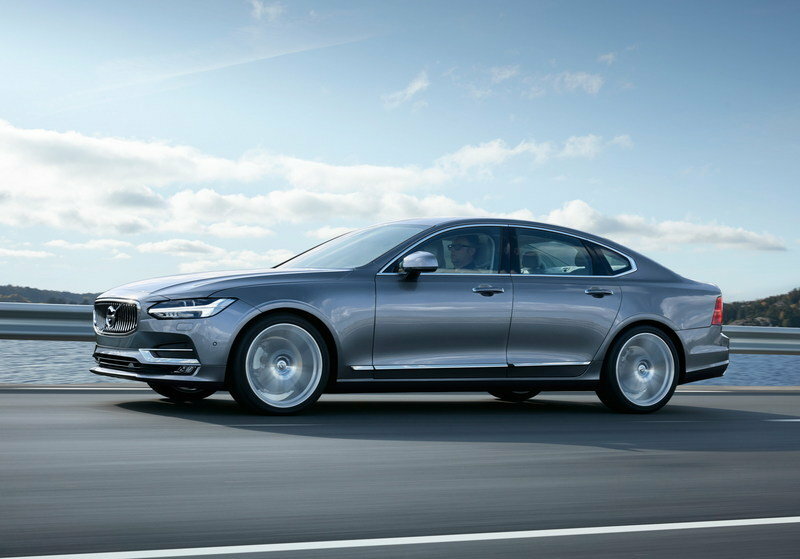 Read our full review on the Volvo S90 Hybrid. Adding an electric motor to the 5 Series makes a lot of sense for Bimmer. 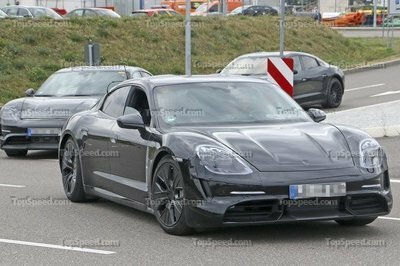 For starters, it’s not all that expensive to do, with just a few hundred bucks required to step up to the hybridized variant. Add in lots of technology and the panache of driving a high-end luxury German sedan, and things are looking good for the 530e iPerformance. Of course, if it’s really performance that your after, there are better options. That said, the electric motor adds a solid bit of torque to the equation, which is great for around town, but the extra weight makes this thing quite heavy in the corners. Again, fun for spirited driving, but definitely not a full-fledged performance vehicle, at least not by our standards. For what it is, we have to hand it to BMW. Overall, we approve. Will you actually use all that technology? Today, BMW announces the latest addition to its iPerformance line-up, the first ever BMW 530e iPerformance. The BMW 530e iPerformance is a sport sedan that serves up the dynamic driving experience for which the brand is renowned, combined with the option of electric driving. The BMW 530e iPerformance offers the full breath of BMW 5 Series Advanced Driver Assistance systems and the latest technology just premiered in the all-new BMW 5 Series, now with eDrive plug-in hybrid powertrain technology. 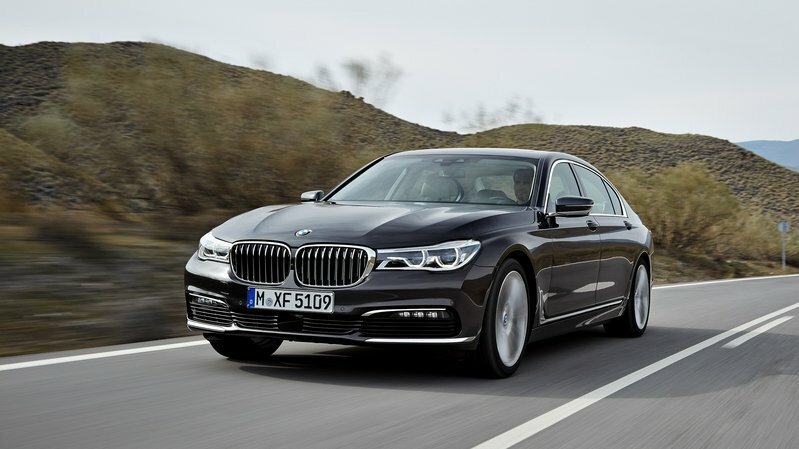 As for its power source, trailblazing BMW eDrive technology teams up with a BMW TwinPower Turbo gasoline engine to create an exceptionally efficient and powerful plug-in hybrid drive system that fits perfectly with the dynamic, smooth and luxurious character profile of the new BMW 5 Series. The iPerformance badge attached to all of BMW’s plug-in hybrid models bear testimony to the transfer of engineering excellence from BMW i. In the U.S., the BMW 530e iPerformance is the fourth member of a growing portfolio of iPerformance models already available at U.S. dealers. The 2018 BMW 5 Series iPerformance will be available at U.S. dealers in spring 2017. Pricing will be announced closer to market launch. Power delivery on all electric. 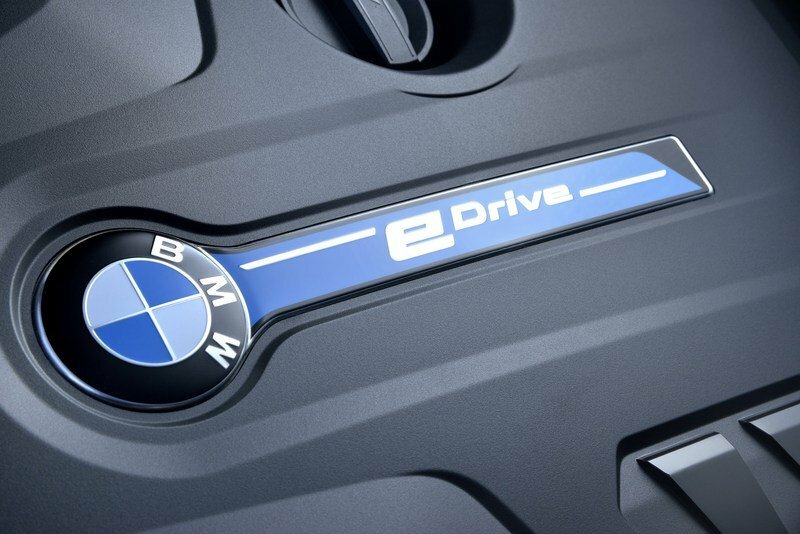 The BMW eDrive system’s electric motor has an output of 95 hp and offers maximum torque of 184 lb-ft on tap, while the 4-cylinder TwinPower Turbo combustion engine with its 2.0-liter displacement generates 180 hp and 215 lb-ft of torque (preliminary). The overall system output of 248hp (preliminary) and combined peak torque of 310 lb-ft (preliminary) propel the BMW 530e iPerformance from 0 to 60 mph in 6.1 seconds (preliminary) and enable it to reach a top speed of 130 mph (preliminary). 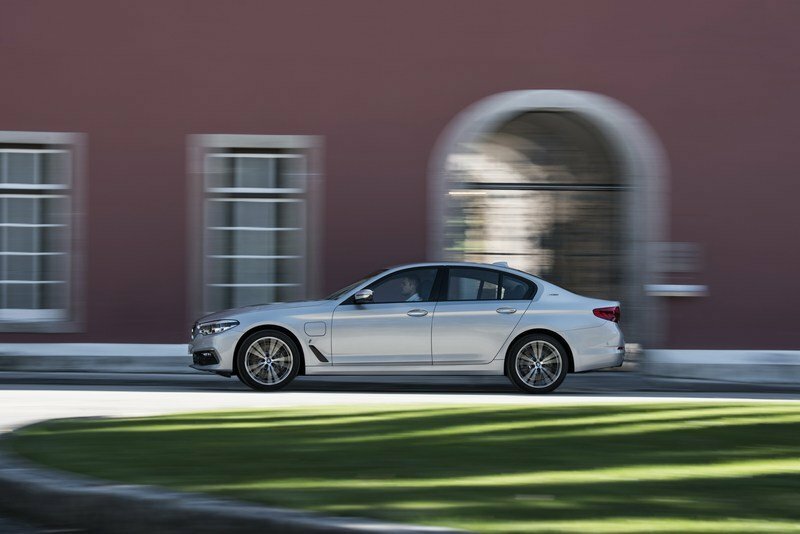 The electric motor and combustion engine direct their power to the sedan’s rear wheels in the BMW 530i Sedan or all four wheels in the BMW 530i xDrive sedan via the standard 8-speed Steptronic transmission with paddle shifters. Positioning the electric motor upstream from the transmission allows the transmission’s ratios to be used in all-electric mode too. This dispenses with the need for a torque converter, something that goes a long way towards offsetting the weight penalty of the additional drive unit. 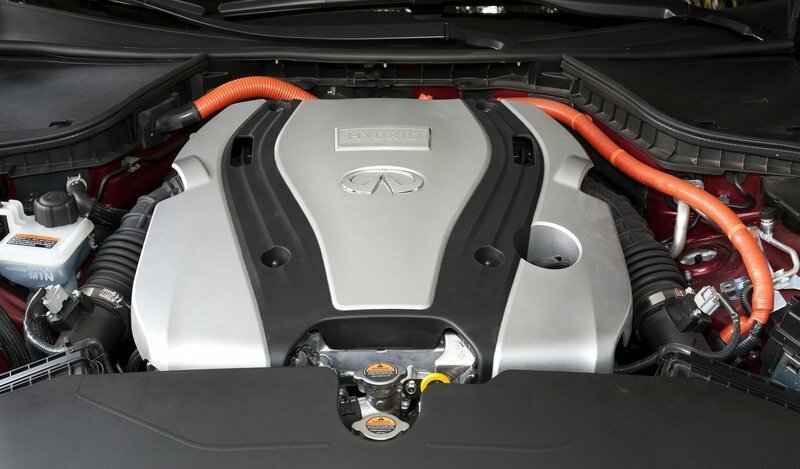 The high-voltage battery pack consisting of lithium-ion cells with a total capacity of 9.2 kWh has been placed in a space-saving location underneath the rear seat and includes efficient refrigerant cooling with a highly integrated low-temperature circuit. Thanks to the battery’s installation, the BMW 530e iPerformance offers full use of the trunk and a flat load compartment floor. The battery can be charged to full capacity in under 7 hours from a residential 120V outlet using the OUC (Occasional Use Cable), while tailor-made solutions enabling safe, straightforward charging are available through BMW 360° Electric Lifestyle, such as the BMW Installation Services and BMW Solar Energy programs. 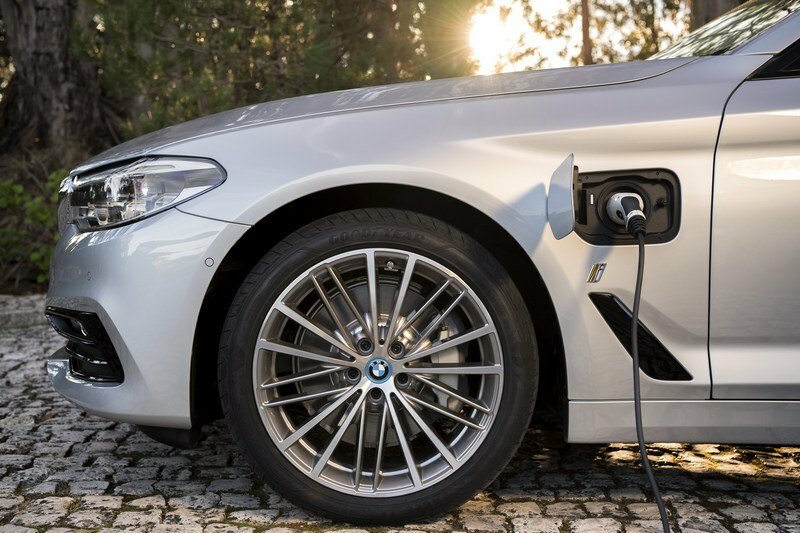 The BMW Charging Station uses its output of 3.6kW - 7.2 kW (16/32 A, 240 V) to reduce charging time to under three hours, to wake up to a fully charged vehicle each day. The progress of the charging process can be tracked via a graphic in the car’s instrument cluster. BMW 530e iPerformance is equipped with various elements unique to the iPerformance line-up. Exterior design elements include: blue kidney grille slats, blue wheel hub covers, charging socket located between the front wheel arch and the A-pillar on the driver’s side, “i” badging on the front fenders, “eDrive” emblems on the C‑pillars and the “530e” badge on the trunk lid. When passengers open the doors they are welcomed by illuminated door sills bearing the “eDrive” lettering. 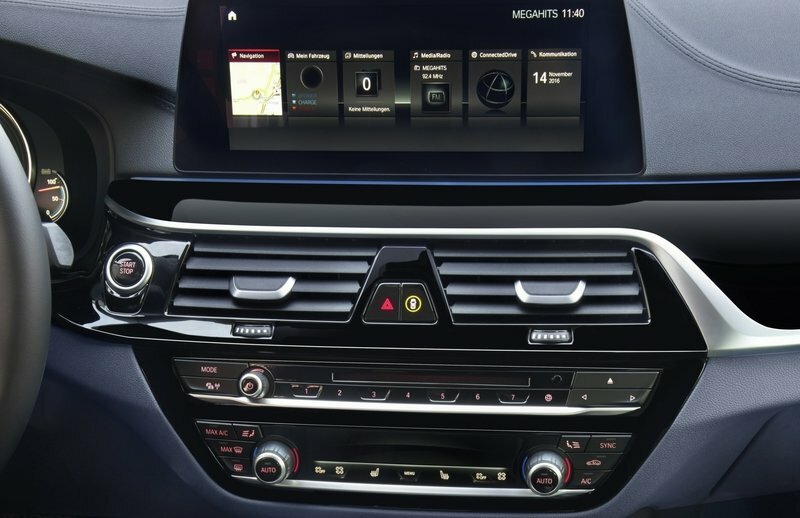 The BMW 530e iPerformance also comes with an eDrive button on the center console, along with specially designed displays for both the instrument cluster in front of the driver and the central information screen. As well as the Driving Dynamics Control switch, with its SPORT, COMFORT and ECO PRO settings. The eDrive button, unique to the iPerformance models offers three driving modes: AUTO eDRIVE, MAX eDRIVE and BATTERY CONTROL. AUTO eDRIVE ensures that the engine and electric motor interact to optimum effect in all driving situations and allows an all-electric top speed of 56 mph (preliminary). This mode is automatically activated as the default setting every time the vehicle is started. 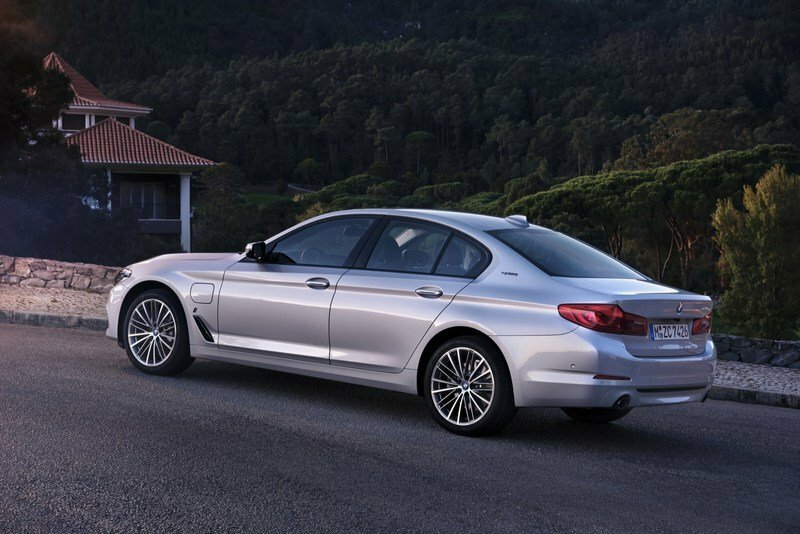 When MAX eDRIVE mode is selected, the BMW 530e iPerformance drives on electric power alone. To do so, it uses the electric drive’s full power and can attain a maximum speed of 87 mph. However, if the accelerator is pressed through to kick down the engine will kick in which is whenever an extra boost of power is needed. BATTERY CONTROL mode lets the driver set the charge level for the high-voltage battery manually. 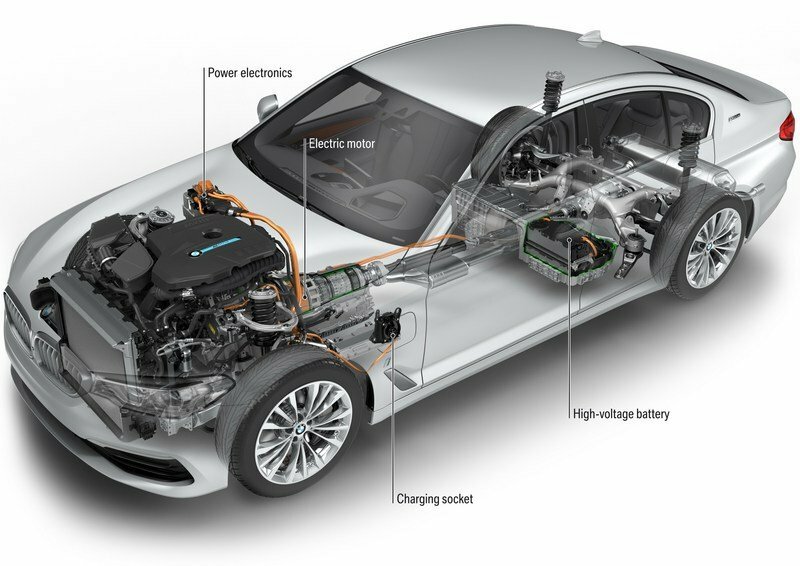 The intelligent battery management of the BMW 530e iPerformance either keeps the high-voltage battery’s charge constant at the selected level or increases it to the pre-set value, with the electric motor acting as a generator. 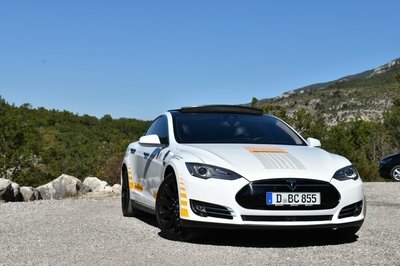 BATTERY CONTROL mode makes it possible to conserve or even increase the reserves of electric power while traveling on the highway to ensure that an upcoming section through an urban area can be driven on pure electric. As in all the other models in the new BMW 5 Series line-up, the navigation, telephone, entertainment and vehicle functions grouped within the standard high-resolution 10.25-inch iDrive display can be controlled not only using the iDrive Controller, but also by the iDrive Touch screen display or with the help of the Intelligent Voice Assistant. Optional BMW Gesture Control which offers a particularly intuitive and easy way of operating commonly used infotainment system and telephone functions allows the driver and passenger another convenient way of interacting with iDrive 6.0. The new BMW 530e iPerformance comes with an extensive range of assistance systems which can be used in conjunction of eDrive mode. Utilizing the Blond Spot Detection system when switching lanes, Active Lane Keeping Assistant with Side Collision Avoidance steers the vehicle back into its lane if the sensors detect another vehicle in the lane. Two systems, providing a semi-automated driving capability are Active Lane Keeping Assistant & Traffic Jam Assistant. Together, these systems operate between 0 – 130 mph and use smooth, comfort-enhancing steering interventions to keep the vehicle in lane. The latest generation of the system features improved image recognition and software algorithms to keep the vehicle reliably on course. In certain situations, particularly in stop & go traffic, the system also uses the vehicle in front as an additional reference point. Active Cruise Control with Stop & Go for all driving situations . Dynamic Cruise Control (DCC), which is standard on the BMW 5 Series Sedan, maintains any selected speed between 19 –130mph. It also supports energy-saving coasting by decoupling the engine from the powertrain when the driver lifts off the accelerator at higher speeds. The new and improved Active Cruise Control (ACC) with Stop & Go uses radar to adjust the pre-selected speed to the traffic situation. The system operates at all speeds up to 130 mph and is capable of braking to a standstill in stop & go traffic and automatically senses if the vehicle in front is moving once more. If the vehicle has been placed into standby mode by pushing the resume button on the steering wheel, the all-new BMW 5 Series can automatically start moving again up to 30 seconds after coming to a full-stop. The ACC system now also takes into account highway exits and traffic circles where it adjusts the acceleration dynamics to suit these special traffic situations. The control technology monitors two vehicles ahead so that vehicle speed can be adjusted earlier and smoother. Heating elements ensure that the front-mounted radar sensor remains fully operational even if it’s snowing. The Lane Departure Warning system operates at speeds between 40 – 130 mph. If the forward-facing stereo camera detects that the vehicle is straying from its lane, Active Lane Keeping Assistant helps the driver steer back on course with smooth and seamless steering interventions. Utilizing the Active Blind Spot Detection system (12-130 mph) when switching lanes, Active Lane Keeping Assistant with Side Collision Avoidance steers the vehicle back into its lane if its sensors detect another vehicle in the next lane. Side Collision Avoidance, which operates at speeds between 40 and 130 mph, warns drivers by means of a visual signal or steering wheel vibration if another vehicle has drifted too close to the side of the vehicle. If the system detects sufficient room on the other side of the vehicle, it correctively steers the vehicle in this direction and out of a possible accident. This corrective steering assistance can be overridden at any time by the driver. Another new function contained with Active Driving Assistant Plus is the Evasion Aid. If a quick lane change is required, for example when the vehicle in front brakes aggressively, the evasion aid – which operates at speeds up to 100 mph – supports the necessary evasive steering action. Faster steering and counter steering during an evasive maneuver results in reduced vehicle instability, supported by Dynamic Stability Control (DSC). While executing the maneuver, the Evasion Aid also uses information from the vehicle’s sensor systems to check how much unobstructed space is available around the vehicle. At speeds over 100 mph, the system no longer provides actual steering support and instead focuses on maximizing vehicle stability. With the launch of BMW Connected in the USA and Europe in 2016, BMW has introduced an all-encompassing digital concept designed to aid personal mobility. Using the flexible Open Mobility Cloud as a basis, BMW Connected seamlessly integrates the vehicle into the user’s digital life via multiple touchpoints, such as an iPhone, Apple Watch, Android smartphone or smartwatch. New additions, introduced in the new BMW 5 Series Sedan, include BMW Connected Onboard, which allows personal information such as the next navigation destination, estimated arrival time and current weather conditions at the destination to be shown on the car’s display. BMW Connected is also able to transfer the user’s personal mobility agenda from their smartphone straight to their car. Surround View and Remote 3D View offer peace of mind by allowing owners monitor their BMW 5 Series at all times. The system shows a bird’s-eye view of the driver’s car as well as a three-dimensional image of the area surrounding the vehicle. Any obstacles, including curbs, or other vehicles or pedestrians that suddenly appear can be spotted. ParkNow and On-Street Parking Information. The integration of the ParkNow service means that on-street parking spaces and garages can be easily located, reserved and paid for. Reservations can either be made while en route from the navigation system or in advance via the ParkNow smartphone app or website. Over 150 parking garages are currently affiliated with the ParkNow network in the U.S. alone, with that number expected to grow to over 500 affiliated garages by mid-2017. Once the selection has been made via the navigation system, the driver is directed straight to the chosen parking place and an electronic ticket is generated which grants access to the reserved space. On-Street Parking Information (OSPI) is receiving its world premiere in the all-new BMW 5 Series Sedan. This cutting-edge technology helps to alleviate the problem of vehicles searching for a parking space, which accounts for a large part of traffic congestion in metropolitan areas. OSPI works similar to the Advanced Real Time Traffic Information system, using historical and current data to draw conclusions regarding the availability of parking spaces on route within the coverage area. The system then uses a model to predict the odds of finding an open parking spot. A color coding on the navigation map displays the systems suggestions.